I know this looks like a sponsored post, but it is not. However, Garnier, if you guys are reading this, please sponsor me because I thoroughly enjoy your Micellar Water line. I have practically tried every single type of makeup remover under the sun. Like everything. 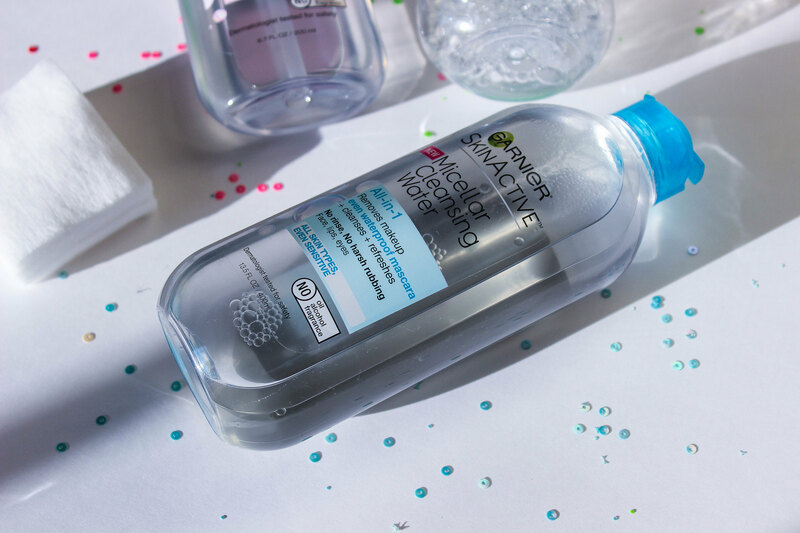 With that being said, I have found my favorite makeup remover is micellar water. 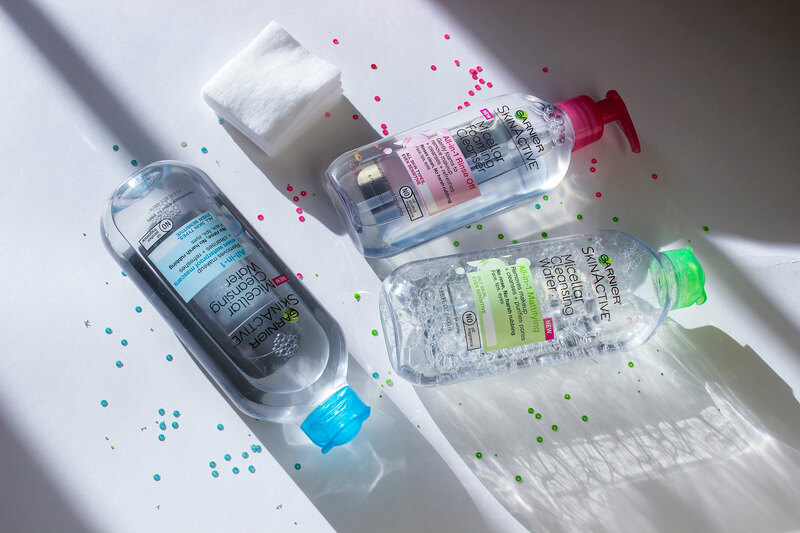 How I came about micellar water was when Bioderma was HUGE a few years ago. I had difficulty purchasing the original because it was only available in Europe (and it was $30 per bottle), so when I heard Garnier was launching its very own line, I was excited. Also, I heard French women use Micellar water as their only water to cleanse their skin and who wouldn't want to be like a French woman? 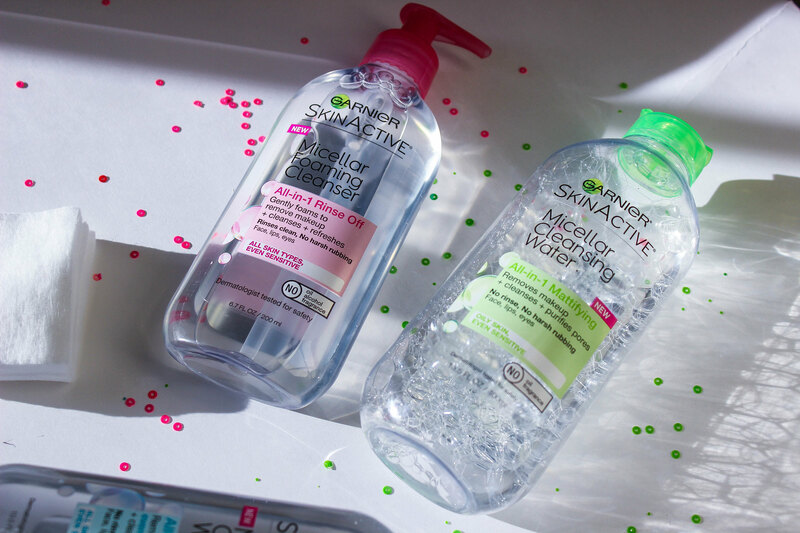 This is the first Micellar water I tried and I was instantly hooked. I have extremely sensitive eyes, so this water removed my eye makeup completely without burning my eyes. I like soaking two cotton pads with the product and lightly pressing it against both eyes for 10 seconds (that helps break down the eye makeup). Then I like to lightly remove my eye makeup with the same pads by using light wiping motions. Finally, I like to run the pads over my entire face to start removing and breaking down my face makeup. I mainly focus on the neck because its hard to apply a soap cleanser to that area. This is the newest addition to my mini-collection. I like to use this cleanser after using the micellar water (waterproof) because I was not keen on using three or more cotton pads to entirely remove my makeup. It works very well at removing the rest of my face makeup. I also like to lightly run it over my eyes to get all the mascara because, let us be honest, once you apply mascara it on your eyelashes forever. After my skin-type changed from dry to combination, I decided I would switch over to mattifying formula. To my dismay, the formula did not remove my makeup as well as the waterproof version. Now, I use it to cleanse my skin before I do my makeup (to get rid of any surface oil and dirt.) It has replaced my beloved CosRx ( learn how I use it here and here) which can be hard to get my hands on. It has been about 2 weeks since I last posted something, and I have to say I am truly sorry. I have been quite busy for the past few weeks. I had some time today, so I thought I would post something. I am in the middle of waiting for internships applications to be posted, so wish me luck!